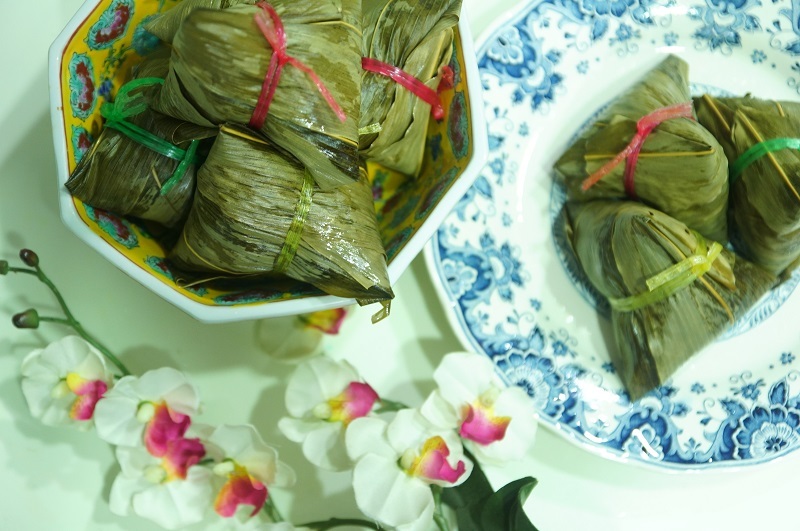 There aren’t too many good traditional bak chang or rice dumplings in Singapore, we are not talking about those far-fetched bak chang that cost a bomb from the five stars hotel but the home made traditional bak chang we can buy from the hawker stalls or neighbourhood shops. 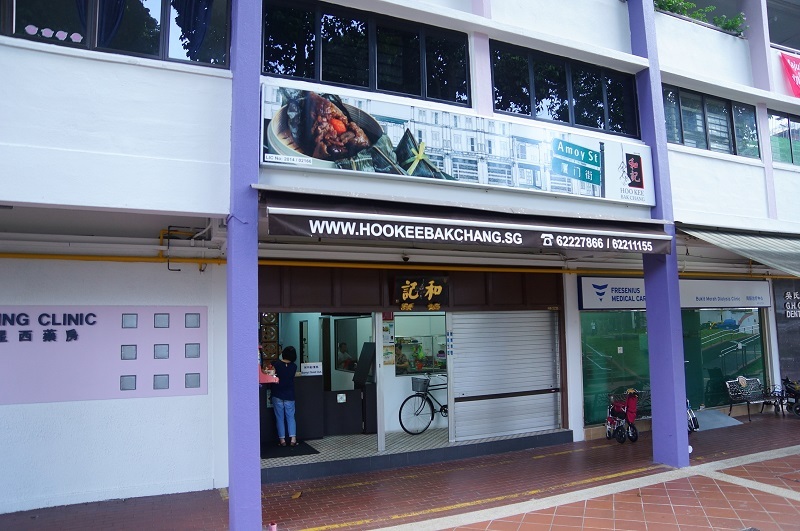 Amongst the few famous bak chang, Hoo Kee Bak Chang is often named one of the best bak chang in Singapore. Are there live up to the standard? 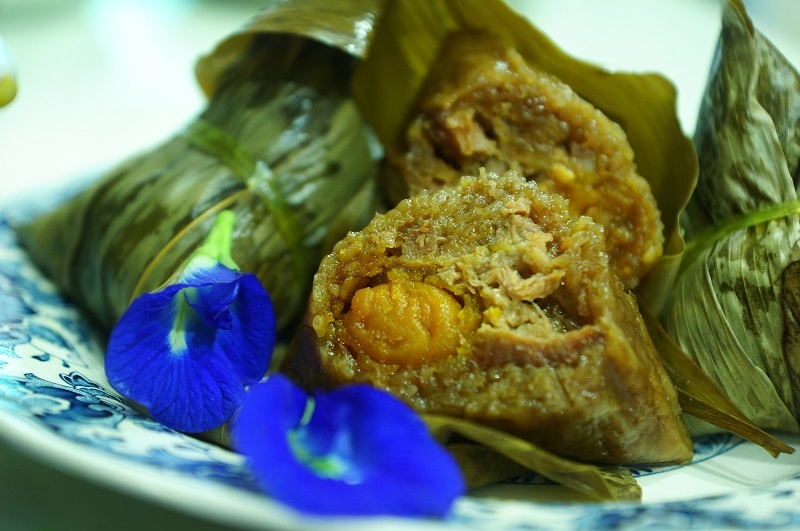 Hoo Kee Bak Chang has three types of bak chang on the menu and only available in the traditional Hokkien style rice dumplings. So if you fancy the Paranakan type of bak chang, Hoo Kee Bak Chang will not likely your choice. 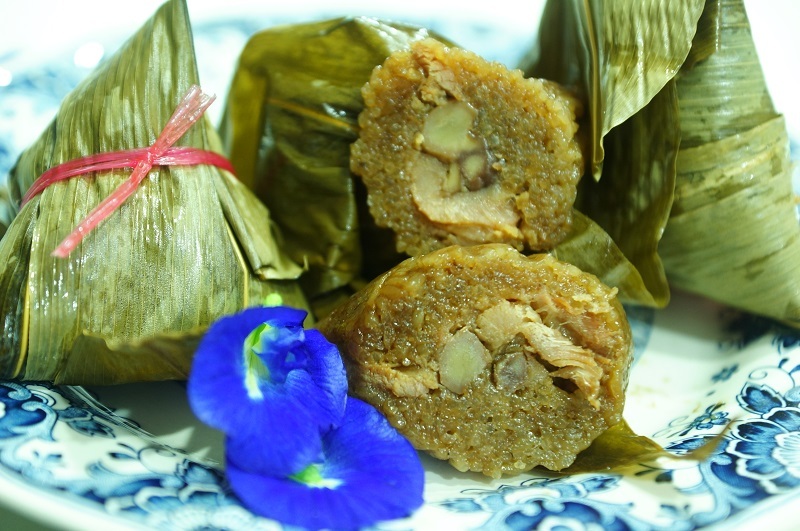 Only the basic ingredients are included which is the pork and chestnut, the bak chang is also the cheapest amongst the three types of bak chang. 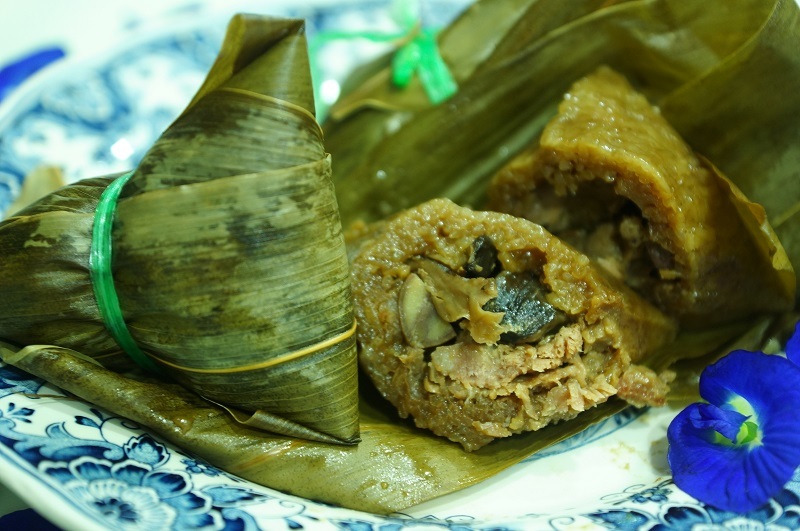 The ingredients are the same as the pork and chestnut dumplings but with additional mushroom added. Again, the same ingredients are used per the pork and chestnut dumplings but with salted egg yolk added. How Hoo Kee Bak Chang fair? A lot of the bak chang in the market are fairly reserved in their ingredients to cut cost, by comparison, Hoo Kee Bak Chang is more generous with their ingredients. At least, you are not paying just for the rice. We tasted all the three types of bak chang and concluded all of them are fairly similar in taste except the additional flavour from the mushroom and salted egg yolk. The rice was very well seasoned and flavoursome with a nice texture. Hoo Kee Bak Chang is not oil-logged with fatty meat, all the bak chang are mostly wrapped with slices of lean meat so not overly guilt concerning the fat beneath the bamboo leaves, we enjoyed the pork which was tender and savoury. The chestnut was equally good, it was soft, crumbly and sweet. In the nutshell, everything in the bak chang complement each other very well and help to enhance the overall taste and satisfaction. Hoo Kee Bak Chang is always in demand and easily snapped out before end of the day. 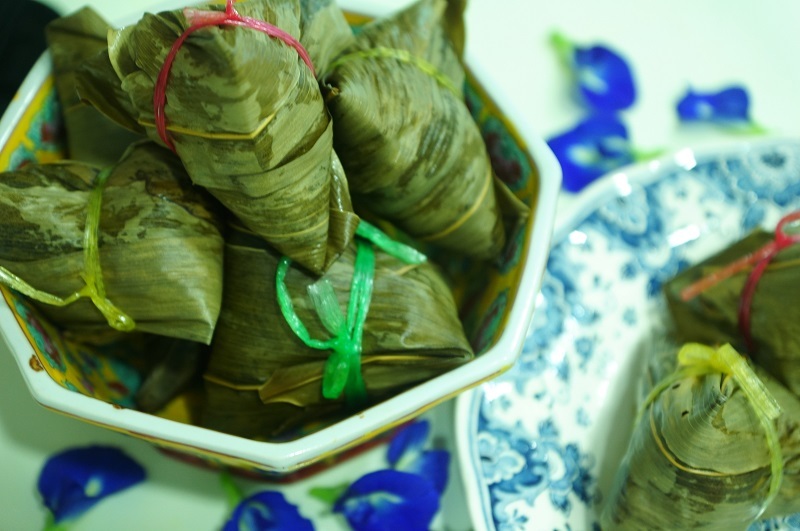 With the approaching Rice dumplings festival, you can expect the demand of Hoo Kee Bak Chang to escalate many folders, if you are looking for a good traditional Hokkien bak chang, Hoo Kee should not disappoint you too much.